A new, third season is in store for Nickelodeon’s masterpiece of a show titled, “Game Shakers” and that means one thing: a whole lot of fun! For the past two seasons, we’ve all enjoyed joining Babe, Kenzie, Hudson, and Triple G’s adventures and journey through the big city as they make some pretty awesome apps and games along the way. It’s clear to see that the spectacular cast consisting of Cree Cicchino, Madisyn Shipman, Thomas Kuc, Benjamin Flores Jr, and Kel Mitchell have such a phenomenal chemistry both on and off set which helps make each of the sensational episodes so enjoyable and entertaining to watch. All of the cast-members have their own unique and awe-inspiring talents that they contribute on set. Combine that along with their exuberant energy, their full of life personalities, and their fantastic passion for what they do, and you have one magnificent cast creating one of the most extraordinary shows that has ever made its way to our TV screens. The lovely ladies of the show – Madisyn Shipman and Cree Cicchino are beauties both inside and out. They inspire fans on a daily basis and they always radiate some fabulous girl power and women empowerment in every episode of the show and any project that they work on. Fierce, fantastic, fashionable, and super gifted – Cree Cicchino and Madisyn Shipman are absolute gems! The young men of the show – Thomas Kuc and Benjamin Flores Jr both bring their outstanding charm and vibrant personalities to the show and they can never fail in always putting a smile on everyone’s face. Their talents are out of this world and they are such a pleasure to watch on our TV screens. Of course, the one and only Nickelodeon icon Kel Mitchell brings his excellent charisma and superb acting skills to the exceptional show. There is no question as to why “Game Shakers” is one of the most top-ranked shows out and we love every second of this marvelous and fun-filled show. I, Alexisjoyvipaccess had the great honor of covering Nickelodeon’s West Coast Headquarters Grand Opening and had a terrific time catching up with and interviewing the cast of “Game Shakers” again at the event. 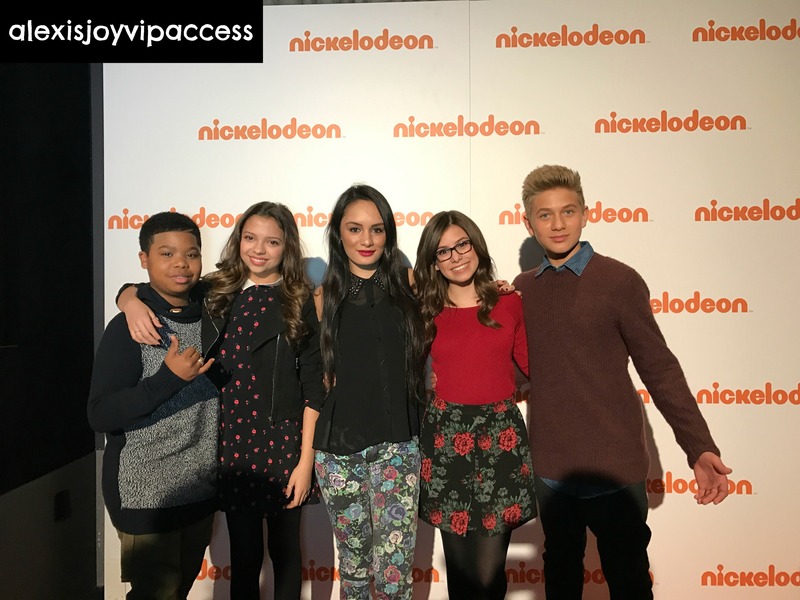 Madisyn, Cree, Thomas, and Benjamin dished exclusively to Alexisjoyvipaccess all about what their motto would be for the “Game Shakers” apps and games, where they would like to travel to film some episodes, what it was like for them being a part of the ribbon cutting ceremony for Nickelodeon’s monumental day, and so much more only in our VIPAccessEXCLUSIVE updated interview. The cast even spilled on something fans may not know about them – hear what they had to say in our VIPAccessEXCLUSIVE updated interview below. Thanks for another fun interview Cree, Madisyn, Thomas and Benjamin! Check out my VIPAccessEXCLUSIVE updated interview with Thomas Kuc, Benjamin Flores Jr, Madisyn Shipman and Cree Cicchino at Nickelodeon’s West Coast Headquarters Grand Opening below! Follow @MaddieMooHoo (@MaddieMoo_Hoo on Instagram), @CreeCicchino, @KucThomas (@ThomasNKuc on Instagram) and @DaRealPNut on social media! Previous VIPAccessEXCLUSIVE: Tom Kenny And Bill Fagerbakke (Voices Of Spongebob And Patrick) Interview With Alexisjoyvipaccess At Nickelodeon’s West Coast Headquarters Grand Opening! Next Article: Chandler Kinney Looked So Stunning At The 2017 People’s Choice Awards!